My newest obsession is The Hunger Games trilogy (thanks, Emily for forcing me to read!) and I cannot get enough--Googling images and watching the trailer. I just finished the second book, Catching Fire, and quickly getting into the finale, Mockingjay. I am definitely going to be trying a few of the China Glaze "Colours from the Capitol" collection. My favorites are Harvest Moon, Dress Me Up, Stone Cold, and Fast Track. Who else is sharing my Hunger Games obsession? 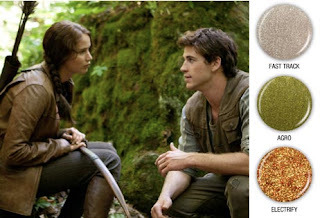 And, are you Team Gale or Team Peeta? Update: All Lacquered Up tests each color in her new post. My new likes are Smoke & Ashes and Foie Gras. 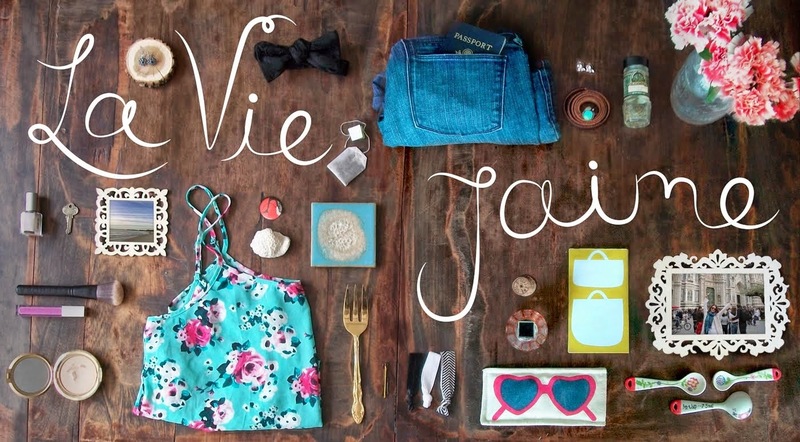 love the inspiration and the color pallets! perfection. ahhh i get chills when i think of these books!! i love them. and you will love the third!! even these nail colors make me emotional! and peeta... oh, he had me from day 1.
finishing the last one!! so good!! LOVE everything about this post!!! 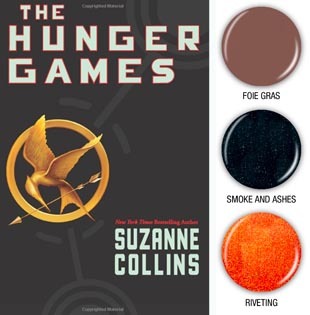 I cannot wait for the movies and I have to start re-reading the books :) The polish colors are great too! YEAH KATNISS!! yeahhhhh!!!!! :) I love them too. The trailer looks SO amazing, I'm seriously very, very excited. 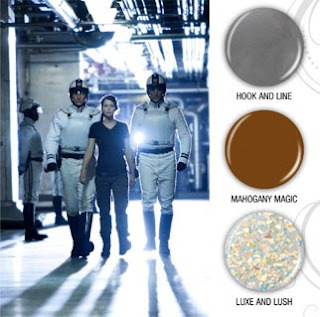 And I think Katniss was casted very well. I feel for Gale but I think I might be Team Peeta... mainly because Gale is dating Miley in real life, haah. No, in the books I side with Peeta. Love this! I'm so obsessed with The Hunger Games. Can't wait to try out some of these polishes! 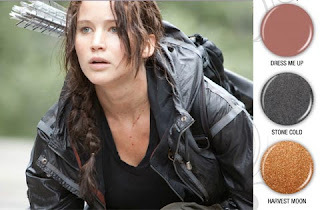 I keep hearing about the Hunger Games and must say that I am quite intrigued. These polishes are so pretty! I like Fast Track. These polishes are awesome. I especially like "luxe and lush." I've been meaning to read this - thanks for the reminder! I like these books -- not obsessed, though. I can't wait to see what they do with the movie. I'm totally team Gale! LOVED the book, literally just finished the first installment last week (I'm soooooo behind the times I know)...I really rushed to read it in time for the movie!! Can't, can't wait!!! OOH, how clever and such pretty colours. I really need to get on this book bandwagon! ha, this is so fun! The HG series is amazing.... And I'm so excited for the movie to come out. I just hope it does the book justice. oh what a coincidence I was just thinking earlier that I have to read the books ASAP!! What a cute post. Love the colors. Yup, I'm obsessed too. I'm about 2/3 done with Catching Fire. Right now I guess I'm team Peeta. I don't feel like I know Gale enough. i love that you shared this post! i loved the trilogy and cannot wait for the movie in march! team peeta all the way! i want luxe and lush pretty please! I can't wait for these movies!